Not all people died. Not all gave up hope. The outbreak was in February. By the end of November, Earth has become a hellish wasteland ravaged by the undead. Survivors from across the Atlantic seaboard took refuge on the Welsh island of Anglesey. Beset by dangers from within, they departed to establish a new refuge in Belfast. Not all of them arrived. Six took the last plane on its last flight, but crashed in France. Expecting a sprinting battle through the ruins of Belfast, they packed light. With few weapons and barely any food, their chances of survival are slim. The chances of rescue are slimmer. There was no evacuation in France. No quarantine. No rationing. But there are zombies, and there are people who believe they, alone, are the last survivors of the old-world. 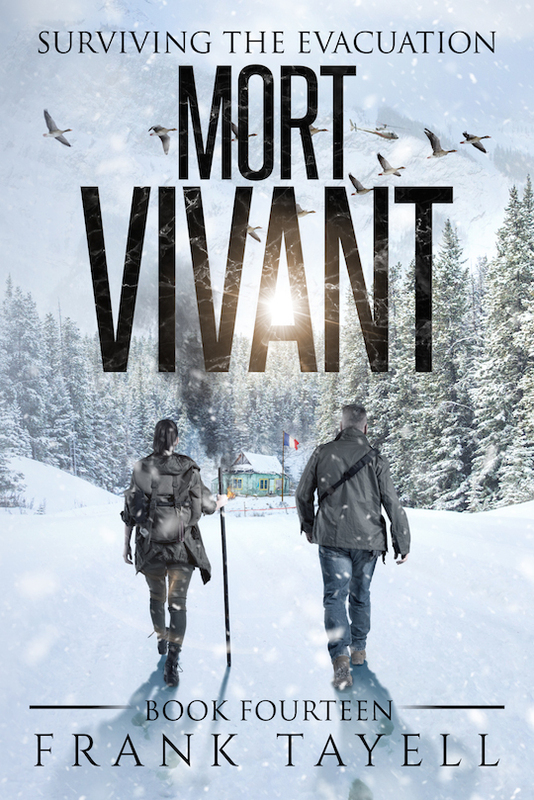 So begins a frantic race against the undead, through the snow and storm ravaged ruins of Northern France. Also available on Scribd and Playster. It should be available on Barnes & Noble and other stores by tomorrow. Paperbacks should be available to order from Amazon this evening (GMT), and from your local bookshop (and some libraries) by the weekend. Audiobooks: The entire series up to Book 13 (including Here We Stand) is available as a digital audiobook from Amazon, iTunes, and Audible. The narrator, Tim Bruce, is currently on tour, but back in September, and we hope to get into the studio to record Book 14 near the end of the month. 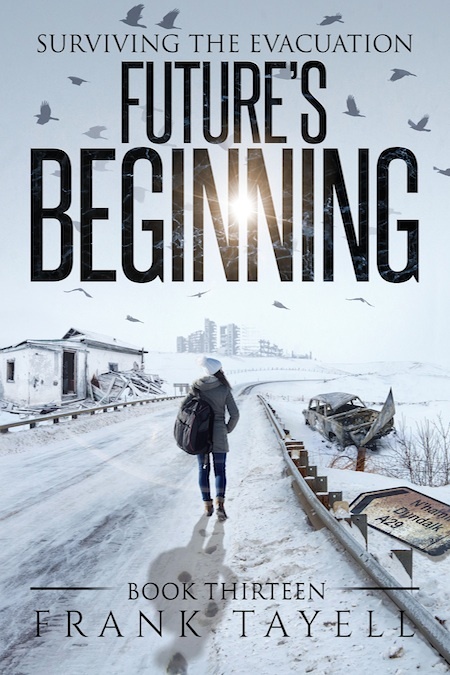 One way or another, humanity's search for a new home will come to an end in Book 15, out next. This won't be the end of the series, however. Old foes rear their heads in Outback Outbreak. (No prizes for guessing where that book is set! ), while old friends will return in Book 16. Fleeing the impossible nightmare, 10,000 from nations across the Atlantic seaboard found refuge on the Welsh island of Anglesey. There, they should have been safe. There, they should have been able to rebuild. There, they were betrayed. In Dundalk, 800 survivors have occupied a local college, but the campus is too dispersed to defend. 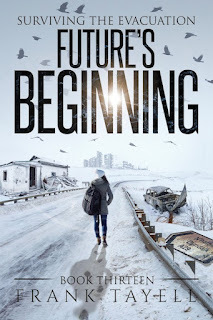 As they scour the snow-covered town for a safe route to the sea, they find signs of long-fled survivors and answers to a question they hadn't asked. In Belfast, the situation is increasingly precarious. There are saboteurs in their midst. As the investigation into their identity slowly progresses, the terrorists continue to plot. Rumors of a mutiny escalate into a riot, while an unseen clock ticks ever closer toward humanity's destruction. Set in Belfast and Dundalk over three days that change everything. 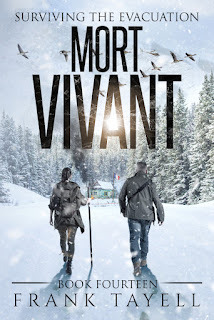 Coming next (towards the end of August), Book 14: Mort Vivant.